It was a big day for Pokemon as Nintendo made several announcements during a special Direct presentation this morning, spilling the beans on a pair of Pokemon-themed 3DS systems, a system for banking your previously captured monsters and a trio of familiar critters that you'll be able to start the game with in the upcoming X and Y versions. For starters, two limited edition Pokemon 3DS XL consoles will be released on Sept. 27 sporting a red or blue paint job and artwork featuring the new legendary 'mons, Xerneas and Yveltal. Curiously enough, the Pokemon consoles will not come with a copy of the game, but at least they won't sell at a premium. You can expect to part with about 200 bucks if you want to grab one of those bad boys. Also announced this morning was a new service called Pokemon Bank, a 3DS (or 2DS, I suppose) application that allows players to “safely and conveniently” store up to 3,000 Pokemon on the internet. Planned for a winter release, this means that players will no longer be limited by the in-game limitation on the number of Pokemon you can carry around and care for. For those who truly “gotta catch them all,” you can rest assured knowing that your digital creatures are secure on the internets, where absolutely nothing bad could ever possibly happen to them...Ever! “Additional features of Pokemon Bank include the ability to deposit and withdraw Pokemon from multiple copies of Pokemon X and Pokemon Y,” reads a statement from Nintendo. The app will also feature a Poke Transporter feature, which should streamline the process of transfering Pokemon caught in previous games to your copy of X or Y. You'll be able to load up your copy of the most recent entry you own, fire up the Transporter and then easily send them into your new game. There will be an annual service charge for utilizing the Pokemon Bank app, though no word yet on how much that will actually be. Nintendo has stated that the purpose of the fee is to maintain the online server, as well as keep your precious Pokemon safe for, not just X and Y, but also for future Pokemon games, too. 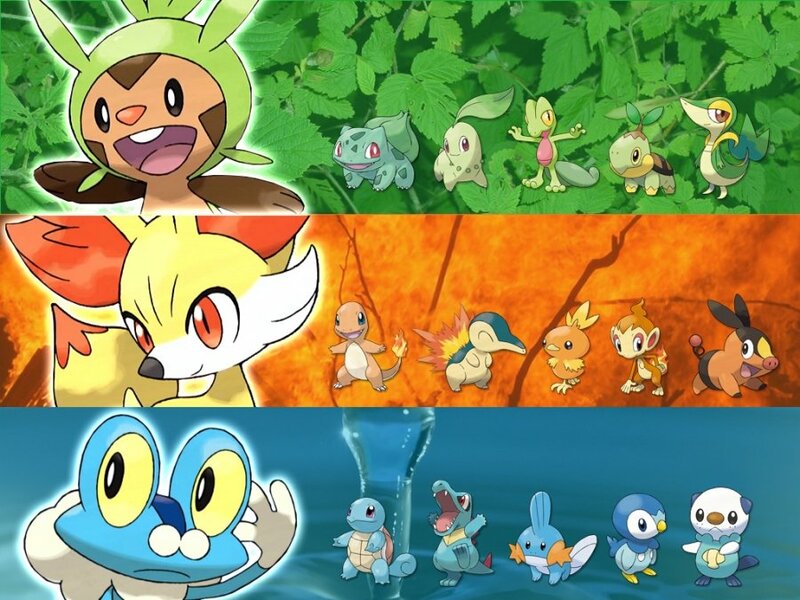 Finally, and perhaps the biggest piece of news for old school Poke-fans, is the fact that Chespin, Fennekin and Froakis are not, in fact, your starting Pokemon, but rather Bulbasaur, Charmander and Squirtle. 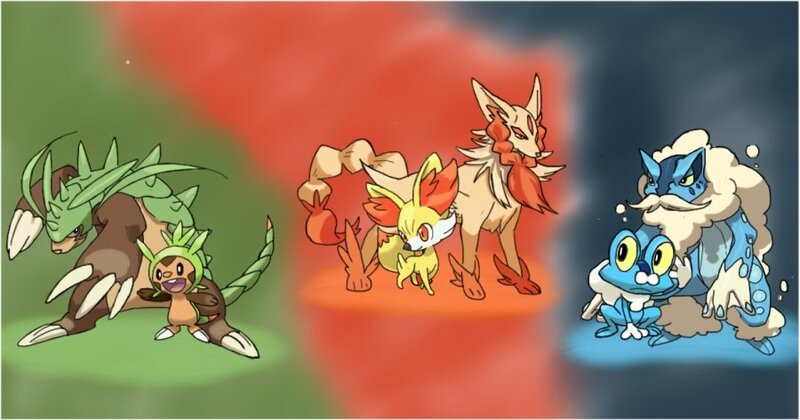 You may remember that lot as the starting companions for the original Pokemon Red and Pokemon Blue. Even cooler is the fact that, once they've been fully upgraded and you're aquired a Mega Stone, your old favorites will be able to Mega Evolve in the midst of battle, turning them into some of the strongest Pokemon to date. Well, that will about do it for now. 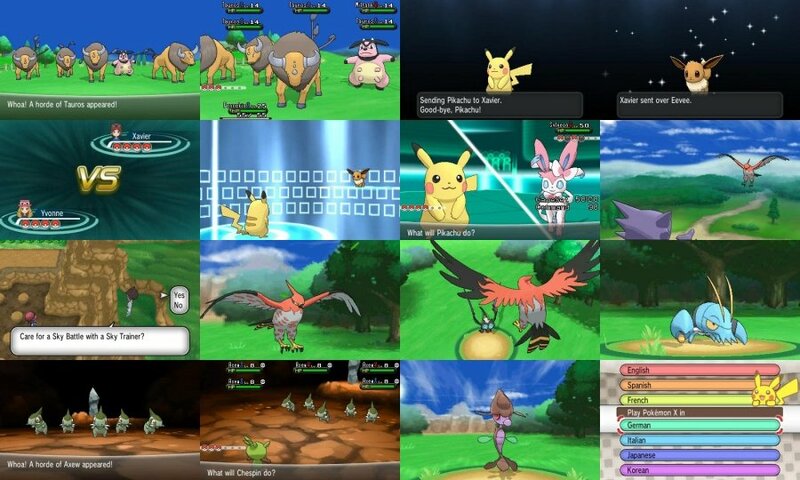 With only a month before X and Y on Oct. 12, that should be plenty to tide you over until the next Poke-catching season.